It is a new townhouse development currently under construction. The development is scheduled for completion in 2018. Sales for available units range in price from $504,990 to over $674,990 and the unit sizes range from 841 to 1300 square feet. Real Estate Forecast for 2018: What to Expect! While national real estate numbers and predictions can provide a “big-picture” outlook for the year, real estate is local. And as local market experts, we can guide you through the ins and outs of our market, and the local issues that are likely to drive home values in your particular neighbourhood. If you have specific questions, or would like more information about where we see real estate headed in our area, please give us a call! We’d love to discuss how issues here at home are likely to impact your desire to buy or a sell a home this year. Please visit our website SnapHomes.ca for latest MLS listing and pre-construction Homes & Condos. Can’t find what you are looking for? Contact us for Exclusive list of Pre construction Homes and Condos and our pocket listings for Land! Comments Off on Real Estate Forecast for 2018: What to Expect! -Perfect for Students: Short Walk to Ryerson University, OCAD University, UofT. The One Condos is a New Condo by Mizrahi Developments located at Yonge St & Bloor St, Toronto. Steps away from the most popular restaurants in Toronto, endless transit options and everything else you love about Toronto sits The One Condos. A brand new creation by Mizrahi developments and Foster-Partners. This promises to be a memorable part of Toronto. These 544 suites will become the heart and soul of the city, sitting at a stunning 84 storeys tall, One Bloor St West will transform into a cultural hub bursting with street energy and endless opportunities for you to live, work, and play. This building will become the second tallest in Canada next to the CN tower. The One is expected to have suites between 650 and 9000 sqft. Expected to launch in the Spring 2016, there will be no sharewalls meaning the consumer can customize their own unit. Amenities include 24/7 cleaning services, valet services, theatre rooms and much more. The One condo will become the second tallest build in Canada next to the CN tower. The One is expected to have suites between 650 and 9000 sqft. The One Condos – an eighty story tower set to be placed 1,043 feet high. It is going to be an absolutely spectacular feet of engineering and architecture, especially with the famous Norman Foster behind its design. Its location is going to be at the intersection of two buzzing streets in the center of Toronto: 1 Bloor Street West at Yonge and Bloor. The intersection of these two main streets is currently inhabited by a deteriorating clothing store called Stollerys. This outdated fashion shop is set to be demolished and replaced by The One Condos and this news is most welcome to prospective residents and current inhabitants on both Yonge and Bloor. Most of sophisticated investors are looking to buy a Turnkey investment, one that they don’t have to worry about the maintenance and up keep of the property or dealing with tenants. They are interested in growing their portfolio and enjoy their FREE time in fun places!! District condo is an incredible Student Housing Investment in Waterloo with 40.5% ROI – Steps to Laurier University & University of Waterloo. 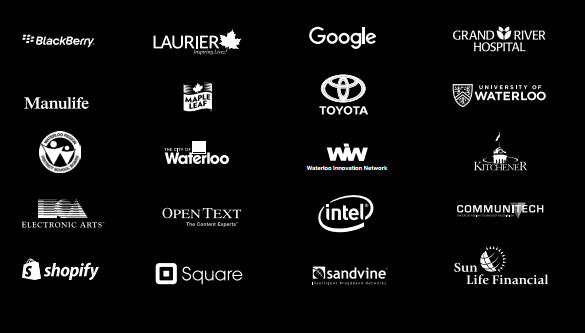 Waterloo is also known as silicon valley north with over 1000 technology firms including Canada’s largest software, hardware, e-learning and satellite companies. 12:30pm – Presentation: Speech from Michael Wekerle of Dragon’s Den. Find out why he invested over $50 million in Waterloo real estate. 1pm – inside sales starts: Be first to invest in District Condos and receive Amazing incentives. Register Now to get VIP First Access.